I spent two days at the St. Petersburg Power & Sailboat Show last week and came away with a couple of positive stories. I’ll share the first today. Look for the second in Wednesday’s newsletter. A new powerboat dealer in Sarasota — the Viage Group — has gotten off to an impressive start. 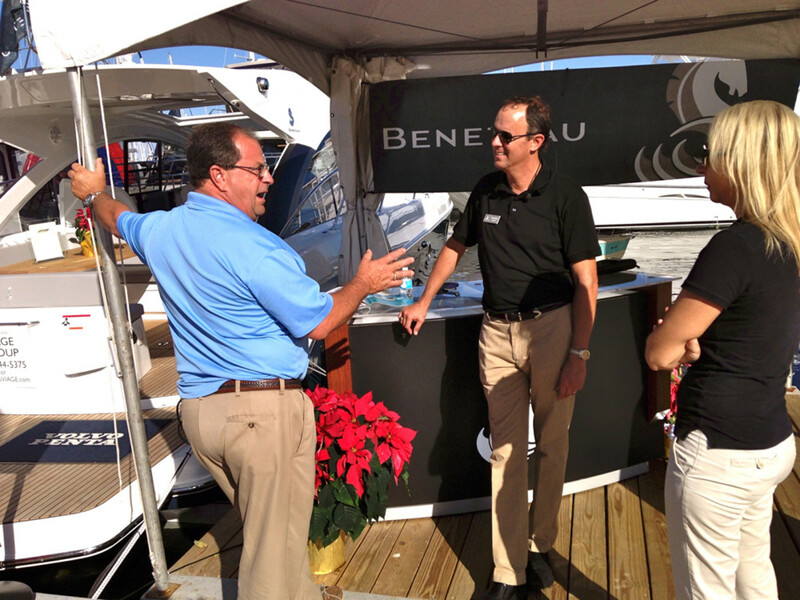 In fact, co-owner Barry Marshall told me his business sold two Beneteau powerboats at the show — a Gran Turismo 49 and a Swift Trawler 34. Viage will be chasing several good leads for other sales, so Marshall and Russell are keeping a couple of boats in the water for sea trials in St. Petersburg for the next 30 days. “We have a lot of follow-up work to do,” he said. Marshall and Russell left MarineMax to start the business. Marshall was MarineMax regional president for the west coast of Florida and Russell was the MarineMax executive vice president and chief operating officer. The duo has only been in business for about eight months and has yet to open its physical location at Hidden Harbor Marine. That’ll happen in about four weeks. It does have a temporary display inside a local mall in Sarasota. Boaters want that same high level of support from their dealers, Marshall said. Marshall is enthused about his business and the industry’s financial health in general.